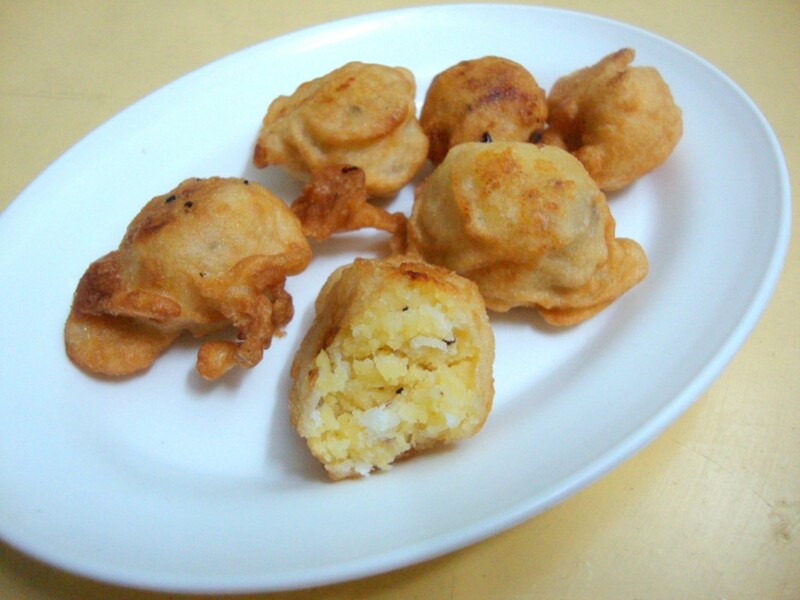 Pesara Purnalu or sweet dumplings with Whole Moong dal are a quick snack that you can do for evening snacks for kids. Not only that these are very healthy for kids. 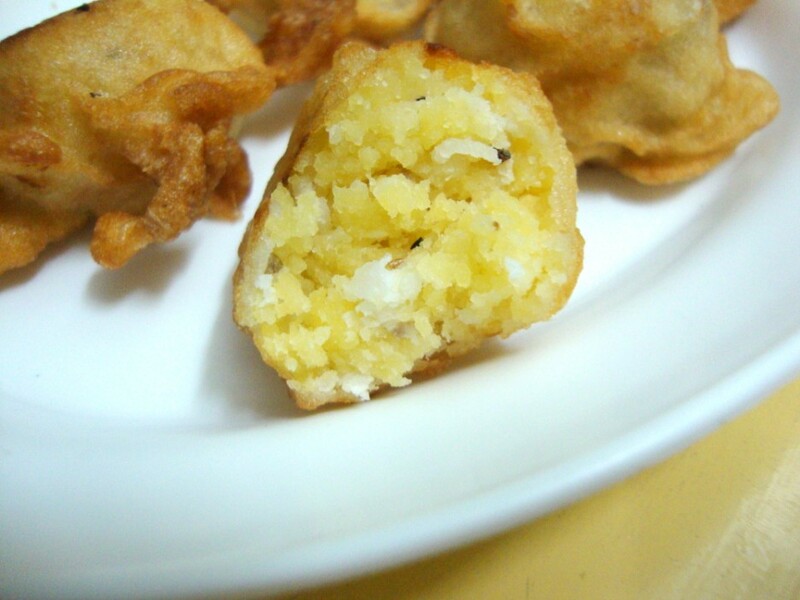 Never mind the deep fried nature of this recipe, as kids can eat deep fried snacks. We make these dumplings with two different coatings. Traditionally it is done with Urad dal, while for this we did the coating with Maida and Rice flour. Make these for your kids as a holiday treat and I am sure they will enjoy it very much. Soak Yellow moong dal for 2 hrs and grind to a fine paste with very little water. Make the paste into small balls and steam the moong dal paste as how you will do for idlies for 15 mins. Once it is cooled, grind these steamed dumplings into powder, if they are soft enough you can also grate them into powder. To this moong dal powder add powdered sugar, grated coconut. Make into small balls. Make a thick batter of Maida and Rice flour, salt. Heat a pan with oil and drop the balls dipped into the batter into the hot oil. Cook on both sides and drain once done to a kitchen towel. These make a great holiday treat for kids, do send in your holiday specials that you will prepare for your kids for Kid’s Delight! very very new dish for me. i love any type of purnalu…they r my weakness sometimes1…yum yum!